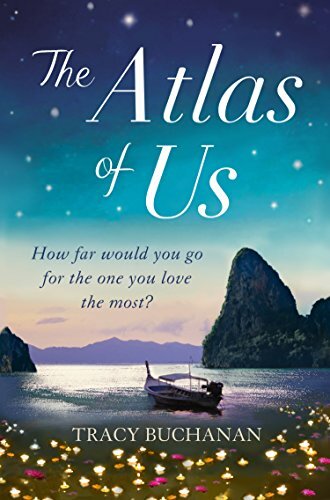 The Atlas of Us tugged at every heartstring I had and took me on a roller coaster of feelings I was only somewhat expecting! Every emotion is covered in this book from the foundation of parental love to the selfishness and self-preservation required when dealing with the basics of hurt. At first I wasn’t sure I was going to warm to any of the main characters as there were so many little angles brought into their lives that they felt disjointed- but, somewhere a third of the way through, I actually had placed myself in their personas and was heavily invested in their future. While there is certainly an aspect of mystery in the set of The Atlas of Us I wasn’t really chasing that conclusion so much as I was chasing the relationship between Claire and Milo. I’m not sure why that aspect drew me in more than the story of Louise looking for her mother in Thailand. I knew somehow these things would connect but in the end both Claire and Milo were so fragile that I wanted to hope for their lives to become something meaningful for each other. There seemed to be so much unsaid in their relationship and yet you could tell they belonged together, somehow, despite their very different upbringings. I wished at times for more background on Milo and the home in which he grew up but when you unravel the last parts of the mystery it became clear why this was left vague. The author also takes us around the world and sets us down in a number of different countries with great success. At no point was I questioning the authenticity of her knowledge of the places, perhaps as I trusted her telling of the ones I had seen myself? I found the inter-weaving storylines suitably confusing and was fully immersed in the novel until the very last pages.